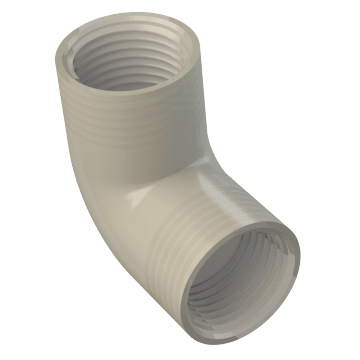 High-purity PFA (perfluoroalkoxy) fittings provide excellent resistance to high-temperatures and most chemicals and solvents. 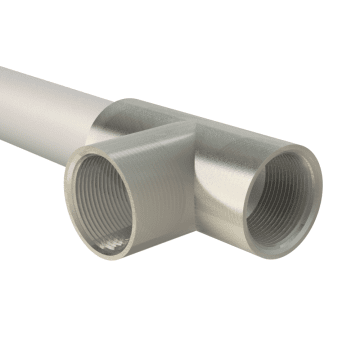 Use them to connect pipes in harsh environments, clean rooms, and chemical-processing applications. 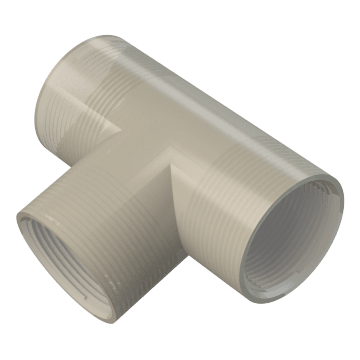 Change the direction of flow in a piping system using these 90° elbows. They are ideal for applications when some pressure loss is acceptable. 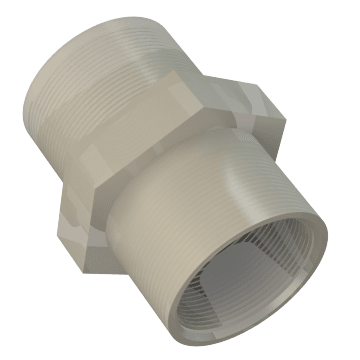 Use these bushings to connect pipes with different diameters. 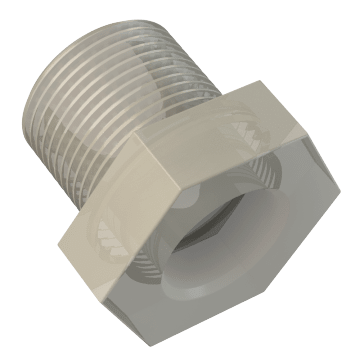 They typically have internal and external threads and are smaller than a coupling or union. 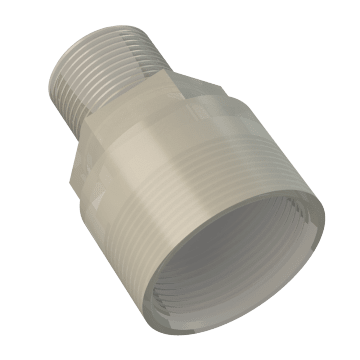 Install one of these plugs into a pipe end or fitting to block material flow through the pipe or fitting or to redirect flow in fittings with multiple heads, such as wyes or tees.